Hello! I have seen so many people do this post and thought it would be cool if I did too! Although I'm slightly scared as it may make me face up to the fact I spend a lot on makeup! Haha! I'm actually quite proud of that! I have seen a lot of other posts like this almost be £200! Although I haven't included brushes! It would only be a tad more if I included them! 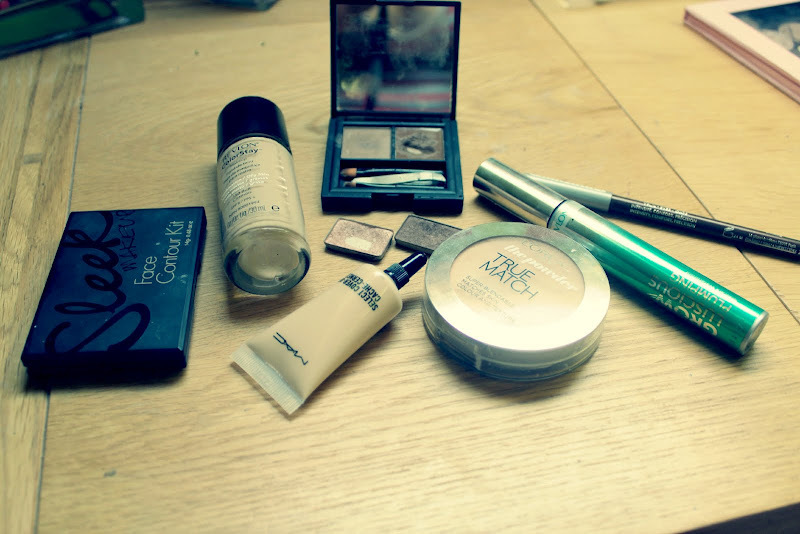 To be honest, this is all the products I have been using lately. 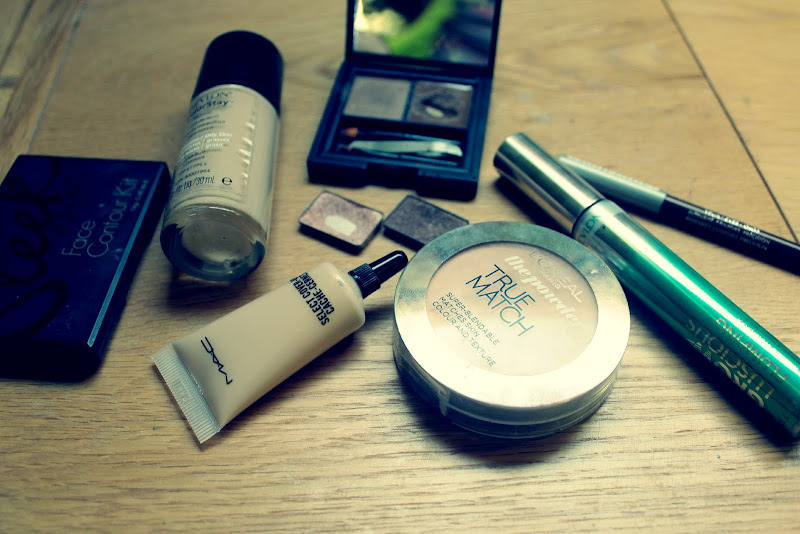 There are quite a lot of drugstore products here, I used to use loads of high end products but have been loving these lately! Sorry today is a short post! And that there is no Wednesday Wishlist, I am feeling so crap lately, I feel like I've lost so many people from my life and I'm just a bit sad to be honest :( I'm off to watch some episodes of Dexter, because that always cheers me up! love this blog post,what hsade is your foundation and concealer as i'm exactly the same shade in MAC foundation (NC20) so it would be really helpful as i'm thinking about purchasing! ps. i've just launched a brand new giveaway where you can win a MAC lipstick and 5 models own nail polishes! You actually did a really good job. I've seen a couple of posts where girls had 300+ pounds worth of products in their face. P.S. If you're in a bad mood, go watch 2 Broke Girls. I love this show, it's hilarious! Was going to buy that Revlon foundation the other day but was put off by a review saying it was claggy. These posts have been fun to read & see lately. :) I've get to know so many new products too.